Most apartment dwellers have what’s called ‘centralised’ or ‘bulk’ hot water, which means you cop an extra bill for your hot water usage. The supplier of your hot water is chosen by the body corporate or management, which in the vast majority of cases is Origin Energy – one of Australia’s largest integrated energy retailers. In this article, Canstar Blue explores everything you need to know about Origin Energy’s hot water service. We also dissect an Origin hot water bill to highlight the key parts that you should be aware of. Bulk hot water is an arrangement whereby residents in a multi-tenant complex share one large hot water system – usually powered by natural gas. The body corporate is in charge of finding a bulk hot water supplier, and this bulk provider is in charge of hot water maintenance, meter monitoring and customer billing. Each residence has its own hot water meter, meaning customers are only billed for their own water usage – not the usage of their neighbours. Origin Energy is by far Australia’s largest provider of bulk hot water services. While there are some smaller retailers in the market, if you’re unsure who your hot water company is, it’s a safe bet that you’re with Origin. Origin Energy offers a range of hot water services for houses, townhouses, units and apartments. As mentioned, Origin Energy is responsible for reading apartment customers’ water meters and issuing their bill – usually once every three months or so. Your hot water bill is separate to your electricity or natural gas bill, however those bills do not factor in the energy it costs to heat up your water so as to ensure you’re not double-charged. Origin Energy is also one of Australia’s largest sellers and installers of hot water systems. Its website promotes leading brands of gas and electric hot water systems, including Aquamax, Dux, Rheem, Bosch and Rinnai systems. It also has a rapid repair service in NSW, Victoria, SA and south east Queensland. This is a 24/7 emergency hot water service that ensures a plumber will attend the property within two hours to sort out the issue. So, if you’re apartment block is with Origin Energy, you can rest assured that you will have reliable access to hot water. If you’ve not lived in an apartment before, then hot water bills might seem a little foreign. 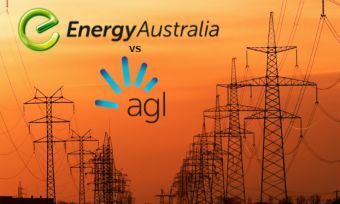 Fortunately, Origin Energy bills are pretty straightforward once you understand what to look for. Below we have a sample Origin hot water bill from an apartment resident. Underneath the image is an explanation of the bill corresponding with each of the numbered components. This part of the bill is what most of us look at first. It provides basic information about when your bill is due and how much it will cost you. Take note of the $12 fee if you don’t pay your bill by the due date. This part details your supply information, including your product and supply address. It is good to check this part to make sure you’re receiving the right bill. This part summarises the balance of your bill. The ‘previous balance’ heading refers to your last bill. This particular customer paid their previous bill in full, so there is nothing carried forward to the next period. The ‘your new charges’ section refers to the current bill. This is summed up under the heading ‘total amount due’. This part breaks down any recent payments. This customer’s last payment was $148 for the previous bill. Any additional charges are listed in this part of the bill. This customer was charged a 50c card payment fee, plus 5c GST. This section explains the details of your bill and how Origin Energy calculated what you owe. The ‘previous read’ column indicates the usage figure on your hot water meter at the end of your last billing period. The ‘current read’ column indicates your most recent reading for this billing period. Note that the ‘(A)’ means that someone actually read your meter, as opposed to someone estimating your usage. The difference between your previous read and your current read is the volume of water consumed, in this case, 607 dl. This figure is multiplied by 10 to convert the figure from deciliters (dl) to litres (Lt). As we can see, this customer used 6,070 litres of water over the most recent period. This is the tariff breakdown of your bill. Gas hot water customers are usually charged on a ‘block rate tariff’ for their usage. In this case, the customer paid 3.139 c/Lt for the first 1,801 litres and 1.654 c/Lt for the rest of their water usage. This is in addition to a daily supply charge of 31.301 cents per day. When you add up each of these costs over the 90-day period, this customer’s hot water usage cost them $155.31. After factoring in GST, the total comes to $170.84. This column provides everything you need to get in touch with Origin Energy. These services are free, so don’t hesitate to contact Origin if you have any concerns or queries about your bill. Can I switch bulk hot water providers? No, it is generally the case that you are unable to switch hot water providers if you live in an apartment. As you share your hot water system with other residents, it is up to the body corporate to select a bulk hot water provider. If you have an issue with Origin or another hot water supplier, be sure to raise it with your body corporate and they may be able to assist you. As mentioned, most centralised hot water systems use natural gas. Natural gas hot water systems are generally much cheaper to run than their electricity counterparts, costing customers only a few cents per megajoule of gas. You are also billed a ‘supply charge’, which is a daily fixed fee that is designed to reflect the cost of transporting the gas to your property for water heating. The exact rates you pay will vary depending on your location and the deal that your building manager is able to strike with Origin. Is Origin hot water a good deal? Centralised hot water is an incredibly convenient arrangement – all of your hot water needs are sorted and you don’t need to lift a finger. But as we have discussed, the downside is that you have no say about who supplies your hot water. So are you getting a good deal with Origin? Well no one knows because there’s no other option. If your apartment is signed up to Origin and you’re adamant on shopping around, then your only option may be to move out. 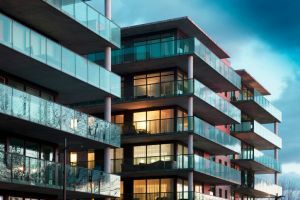 With that said, some Australian governments are considering ways of improving utilities competition for multi-tenant residences, so a future where apartment customers have free reign of their hot water might not be far off.